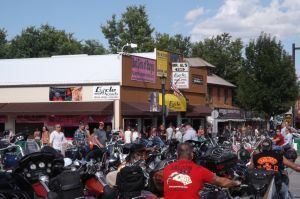 Located on Famous Sturgis Main Street, this building is the original City of Riders Headquarters. Rally goers visit to register for a daily prize drawing worth $250, obtain event passports, acquire the Official Challenge Coin, get information on events & the brick project and check the bulletin board for messages from friends. Booth size starts at 10x10; with larger booths being subject to space. 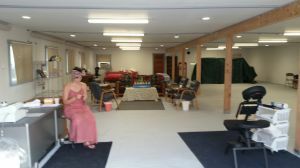 Included with the cost of the booth is pipe & drape, electrical, & Wi-Fi. There is a rumble building on the horizon in anticipation of the 79th Annual Sturgis® Motorcycle Rally™, August 2 – 11, 2019. It's never too early to secure your space or explore the Sponsorship opportunities available. 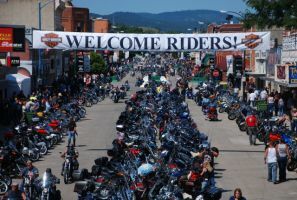 Sturgis offers one of the most amazing experiences in the world that is anticipated by thousands of bikers, months, even years in advance. For many it's a yearly adventure, for some a first and for others it's fulfilling a dream on their bucket list. This is your opportunity to showcase your brand and take advantage of all an event of this magnitude has to offer. 7500 sq. ft of super prime retail vendor spaces. In the heart of the action. Home of the world famous Big Bad Bertha’s Biker Bar. 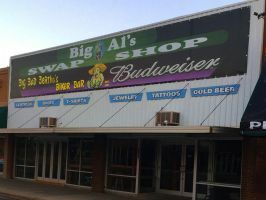 Big Al’s is an enclosed well-lit building w/50’ of Main Street frontage Located between1st and 2nd Streets. Building has 41 spaces available. All spaces are 8’x10’ or multiplies thereof. Electrical and phone hook-ups are in each Booth Space. 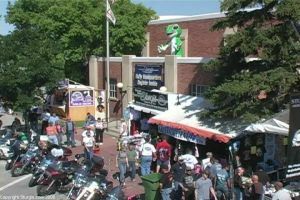 Mr. Al's / Creative Adventures Inc.
Prime vendor space on legendary Main Street, downtown Sturgis. Two Buildings to choose from, or set up in both. Largest buildings for vendor space in town. Mr. AL's is right next to the Harley-Davidson Plaza, and Mr. AL's Too is directly across from the Loud American Saloon and One Eyed Jacks. Established locations offering rally vending space for 35+ years. Reasonable rent - you can afford to be on Main Street. Private vendor bathrooms, secure, wi-fi available, offering 12 days for you to sell - don't lose inventory or sales due to weather. Give Denny a call or email to see remaining space available. AAA Main Street Vendor Space at 970 and 974 Main Street. Home of Amsoil, Main Street Service, Mean City Cycles, Poppa's Foods, United Riders and many more. Corporate or Mom and Pop vendors, we have your space. Food vendor space available. Prices from $5 per square foot. 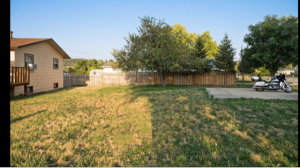 All space includes off street parking, electricity, water, sewer, phone line access, security, limited camping or RV space, inventory trailer parking. All space between Sturgis Harley Davidson and Main Street. 1721 LAZELLE STREET AND 1041 MAIN STREET! Custom Corners is leasing vendor space. Frontage: The Custom Corners commercial property has over 90,000 total sq. ft. of paved and lighted wide-open space and includes two complete blocks of Lazelle Street; that’s four corners and 300 ft. of premium frontage for maximum visibility and 1 acre of free bike parking. 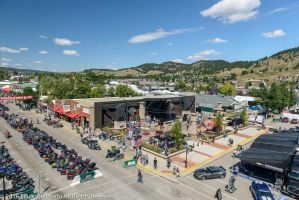 Central Location: Its central location downtown just west of the Sturgis Community Center establishes your company at the heart of the Sturgis Rally event with the highest exposure. Motorcycle Exhibit: Custom Corners features the largest motorcycle exhibit area for motorcycle manufactures, aftermarket bike products, custom bike builders, service vendors, and corporate companies. This generates the highest traffic count on Lazelle Street. All vendors are welcome; spaces start at 10’ x 10’ and up to 30’ x 90’ or larger. Electricity, water, sewer, internet, telephone, vendor RV SPACES and parking available. 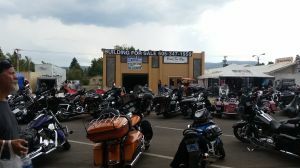 For more information, call Custom Corners at 605-645-2475 and we will be happy to work with your company to create a successful space for the upcoming Sturgis Rally event. 1041 MAIN STREET! Custom Corners is renting space at 1041 Main Street. Ideal for retail oriented 10' by 10's and 20' by 20's that are looking for good traffic. Food vendors are welcome! 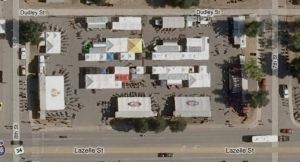 Vendor Space for the 2019 Sturgis Rally available. Prime location, 924 Main Street, half block east of Junction avenue and motorcycle museum on main street. Lot is 96'x145' with Lights, Water, 50 and 30 amp hook ups, telephone, rv dump, private running water restrooms and showers. All your needs available with 96 feet of main street frontage. Looking for vendor to rent entire space or multiple vendors throughout entire space. 1460 SqFt house on main street with 4 bedrooms and 2 full baths fully furnished with a 2 car garage on property available for rent for the rally as well. 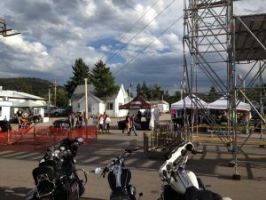 3000 square foot vending space at 1736 Lazelle Street, main road through Sturgis to major campgrounds. High traffic location and 100' of frontage for vending. These are great spots you can rent all or part of it. 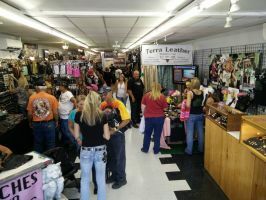 Vending is located in between all the motorcycle and motorcycle part sales. All spots have electric and water. Also have RV parking located behind vending spots. Full hook ups, water sewer and 50/30 amp. 1100 SqFt house on Lazelle Street with 2 bedrooms 1 bath fully furnished on propoerty available for rent for the rally as well. "Prime Location" for outdoor vending. We are located at the West end of the "Rally Strip" on Main Street. Large or small spaces are available at the N.W. corner of 4th and Main Streets. All spaces on this site have sidewalk frontage with heavy foot traffic. 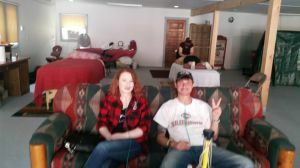 Call now to reserve your space during the Sturgis Rally Week. Square Footage rate is open for discussion. Electric and water available. Call 605-720-2880. Sidewalk Frontage: The available Northern Hills FCU property location is approximately 90 square feet (15 ft. by 6 ft.) facing Main Street and near the corner of First Street. Electricity is available. ATM’s are conveniently located and easily accessible for your customers. Ford Motor Garage built in 1922 got rebuilt from the inside out! Being a hometown girl I couldn't bear to see yet another historical buiding go to to ruin so I put some money into the old gal...She's ready for a new lease on life and looking for a few good vendors. I would be willing to lease out the whole space to one big vendor. 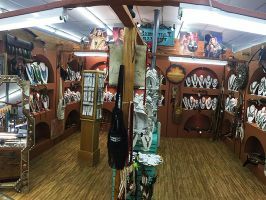 If interested we could work together to offer a respite area to your clients by combining efforts and offering the services stated above..or perhaps you are looking for a clean well lighted space for merchandising. I am open to all inquiries big and small. You are welcome to call or text me at 605-347-1959 as well as email. Looking forward to a great rally and hearing from you! Vendor space available at 1049 Main Street in the heart of the action of Rally. 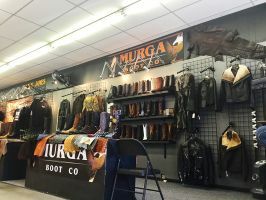 You will be joining a store with well-established vendors selling quality handmade items from leather to apparel to jewelry. This is not just any store on Main Street. We're the coolest store around, thanks to our brand new air conditioning! We still have spaces ranging from 10-foot booths up to 60 feet and we can accommodate your needs! Space for an RV out the back of the building is a possibility, with use of the building's bathroom and shower. Give a us a call anytime for more information or to chat about your needs. We look forward to hearing from you. Flexible and fair prices available upon request. *This is the perfect opportunity to place you next to Sturgis Harley-Davidson. 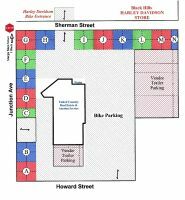 We are located at the Southeast corner of Junction Avenue and Sherman Street with 156' of frontage on Junction Avenue and 168' of Sherman Street frontage facing Sturgis Harley-Davidson. We also offer paid bike/vehicle parking, bringing even more potential consumers in. Don't miss this opportunity next door to STURGIS HARLEY-DAVIDSON!!! 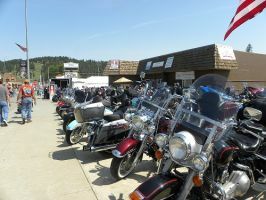 FOR A MAP LAYOUT GO TO WEBSITE: www.bertrea.com from the menu bar click on "Sturgis Rally". *We have a few RV Parking sites with power and water if you would like to stay 3/4 block off Main Street - Must be self-contained for sewer with pumping available. *Large vendors inquire for sizes available at discount for size. *2 areas to choose from on Junction Avenue and Sherman Street. *Steady traffic both foot and motorcycles, all traffic stops at our 4 way stop corner. Sizes start at 10x10 and to to 20x20 with some connecting spots still available. 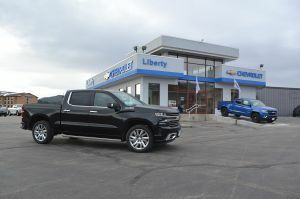 We are located across the street from Sturgis Harley-Davidson on the corner of Junction Avenue and Sherman Street and only 3/4 block off of Main Street. 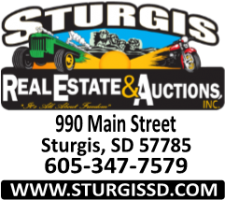 Sturgis Real Estate and Auctions, Inc. Call us for over 30 prime locations in Sturgis. We have complete buildings on Main Street, as well as outdoor lots located on Main Street, Junction Avenue, and Lazelle Street. We can also help you advertise your company or business whether you attend the Rally or not with great signage and banner locations. Please check out our website for photos and current information or call Dave. There is absolutely NO BETTER location for visibility and opportunity! 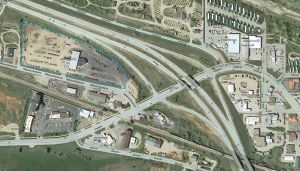 Exit 30 has the highest traffic count entering Sturgis*, which connects directly to Lazelle Street and downtown Sturgis; Hwy 34 going to Sturgis Campgrounds and Hwy 14A to Deadwood. We will work with you on whatever size of area you need. 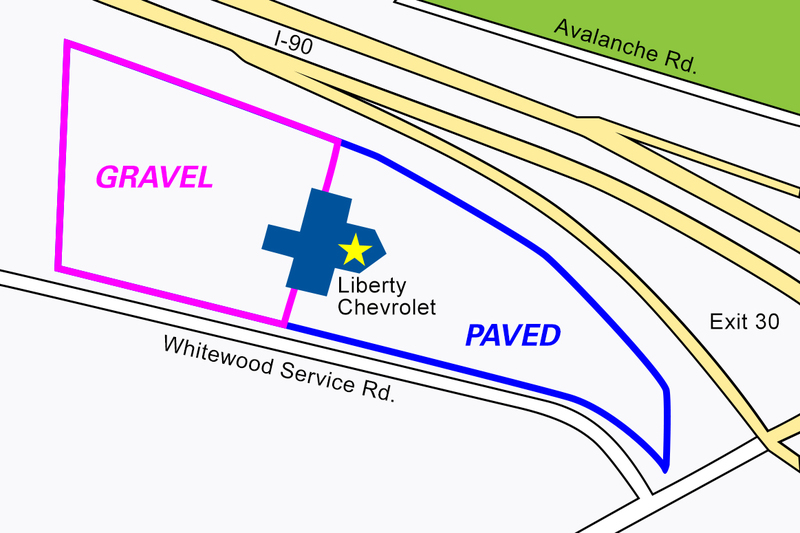 The entire 10 acres consists of 6 acres of pavement (excellent for displays or demo rides) and 4 acres of gravel (perfect for semi truck/trailer parking or self-contained RVs). 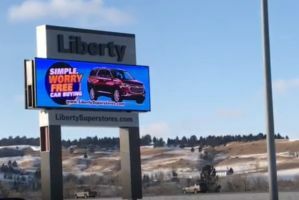 Your marketing message can be seen by over 30,000 vehicles*, with the on-site 10’X30’ digital billboard.